The weather outside has been, shall we say, sloshy lately. Being a very pedestrian city it is necessary we get ourselves around by foot despite the weather. Umbrellas play a very important roll in keeping us from looking like we jumped in the Hudson with our clothes on while on the way to work. However, my dear neighbors, I am begging you to reconsider, nay, consider your fellow New Yorker on our mutual plight to work. 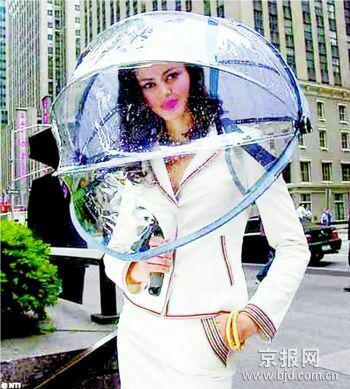 What I'm trying to say is what the &$%^ is with the giant golf umbrellas New York?! Seriously, are you waiting for the cabana boy to bring you drinks under that thing? I think the entire Dugger family could sip Shirley Temples beneath the giant canopy you try to pass off as an umbrella. I can only speak for myself, but I would like to say that my eyes are quite valuable to me. Clearly you do not see as much value in my eyes as I do. Otherwise you might make an attempt to not gouge them out with your massive tent on a stick. I'm not asking you to get soaked on the way to work merely to salvage my sight. 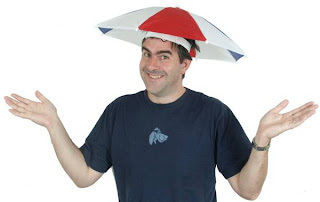 I am simply requesting you consider some other options for staying dry while you trek around the city. 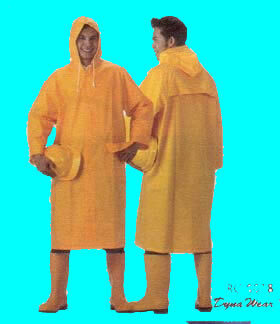 Or how about a rain slicker and some wellies? I hear yellow is "all the rage" this season!! 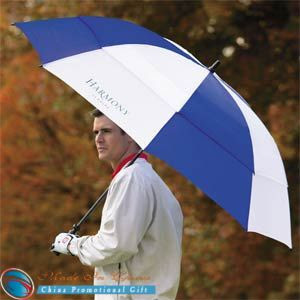 Whatever you choose to do, please save your golf umbrellas for the golf course and get a friendlier, less eye mutilating, personal space respecting umbrella. My eyes and my patience will thank you.